Sarah Crichton Books, 9780374130329, 336pp. Jack Devine ran Charlie Wilson's War in Afghanistan. It was the largest covert action of the Cold War, and it was Devine who put the brand-new Stinger missile into the hands of the mujahideen during their war with the Soviets, paving the way to a decisive victory against the Russians. He also pushed the CIA's effort to run down the narcotics trafficker Pablo Escobar in Colombia. He tried to warn the director of central intelligence, George Tenet, that there was a bullet coming from Iraq with his name on it. He was in Chile when Allende fell, and he had too much to do with Iran-Contra for his own taste, though he tried to stop it. And he tangled with Rick Ames, the KGB spy inside the CIA, and hunted Robert Hanssen, the mole in the FBI. 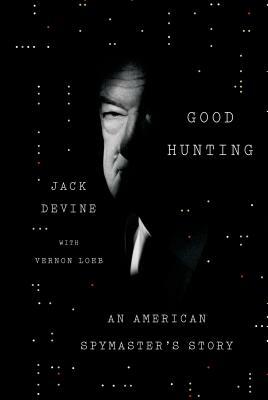 Good Hunting: An American Spymaster's Story is the spellbinding memoir of Devine's time in the Central Intelligence Agency, where he served for more than thirty years, rising to become the acting deputy director of operations, responsible for all of the CIA's spying operations. This is a story of intrigue and high-stakes maneuvering, all the more gripping when the fate of our geopolitical order hangs in the balance. But this book also sounds a warning to our nation's decision makers: covert operations, not costly and devastating full-scale interventions, are the best safeguard of America's interests worldwide. Part memoir, part historical redress, Good Hunting debunks outright some of the myths surrounding the Agency and cautions against its misuses. Beneath the exotic allure—living abroad with his wife and six children, running operations in seven countries, and serving successive presidents from Nixon to Clinton—this is a realist, gimlet-eyed account of the Agency. Now, as Devine sees it, the CIA is trapped within a larger bureaucracy, losing swaths of turf to the military, and, most ominous of all, is becoming overly weighted toward paramilitary operations after a decade of war. Its capacity to do what it does best—spying and covert action—has been seriously degraded. Good Hunting sheds light on some of the CIA's deepest secrets and spans an illustrious tenure—and never before has an acting deputy director of operations come forth with such an account. With the historical acumen of Steve Coll's Ghost Wars and gripping scenarios that evoke the novels of John le Carré even as they hew closely to the facts on the ground, Devine offers a master class in spycraft. Jack Devine is a thirty-two-year veteran of the Central Intelligence Agency who served at the pinnacle of his career as the CIA’s top spymaster—Acting Deputy Director of the CIA’s operations outside the United States, in which capacity he had supervisory authority over thousands of CIA employees involved in sensitive missions throughout the world. He is also a founding partner and the president of the Arkin Group, an international risk consulting and intelligence firm. He lives in New York City with his wife, Pat. Vernon Loeb is a journalist and co-author of Good Hunting: An American Spymaster’s Story, along with Jack Devine.